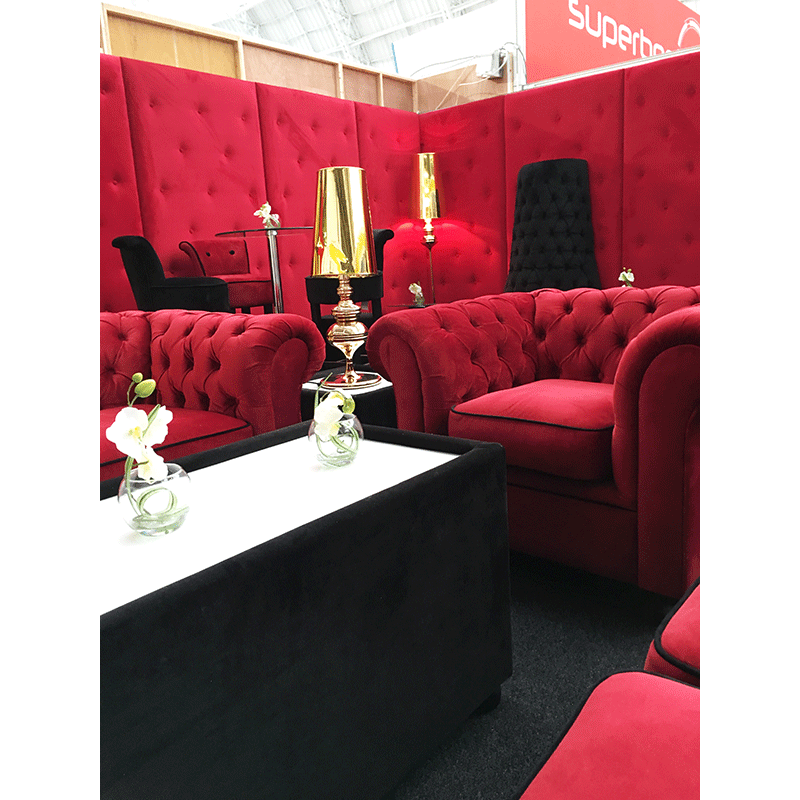 Our red velvet modular booth seating range is a perfect way to configure your seating plan to suit your event space. 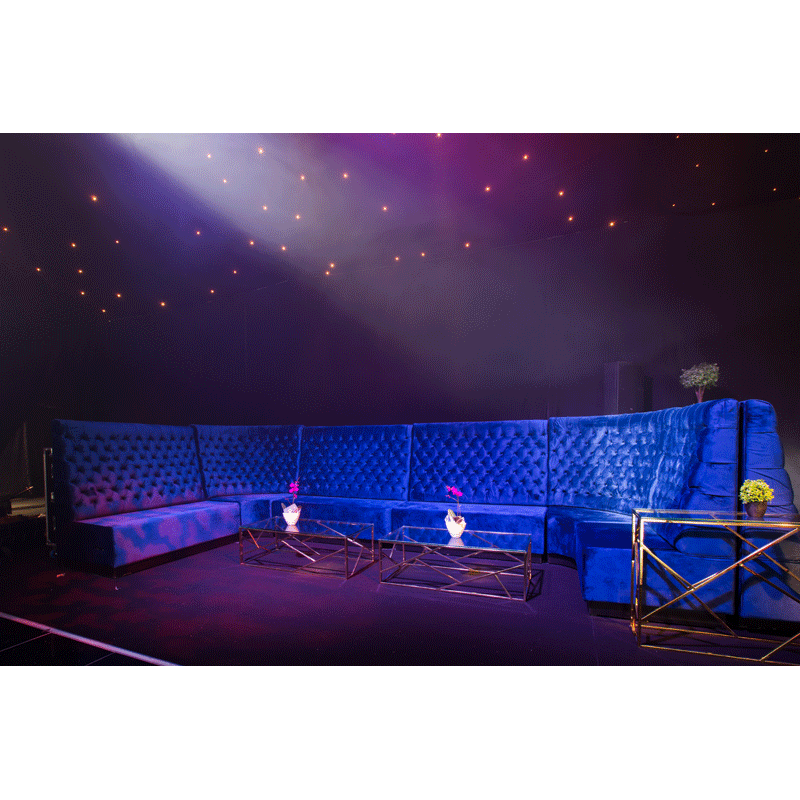 With 4 separate sections, including middle, end, back and corner you can create a variety of arrangements including back to back, bench or banquette style. Available in either velvet or leather, this versatile choice really will make the most of your space whilst creating a cosy seating area for your guests and clients. 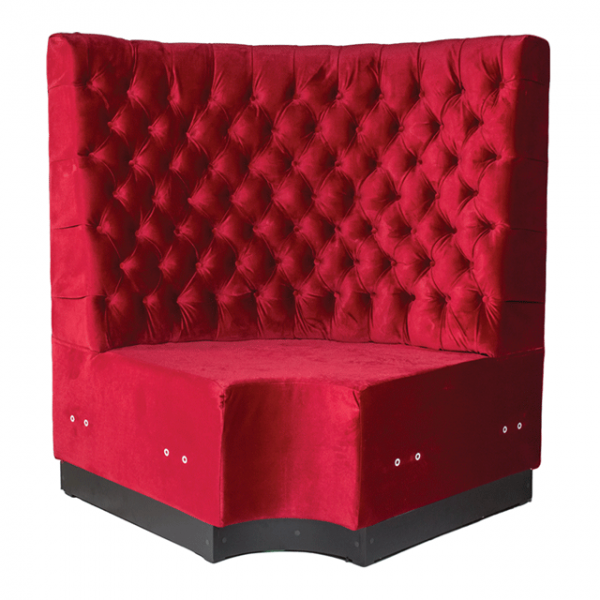 Boasting Chesterfield style button detail, deep seats and high backrests the range is built for comfort and style. 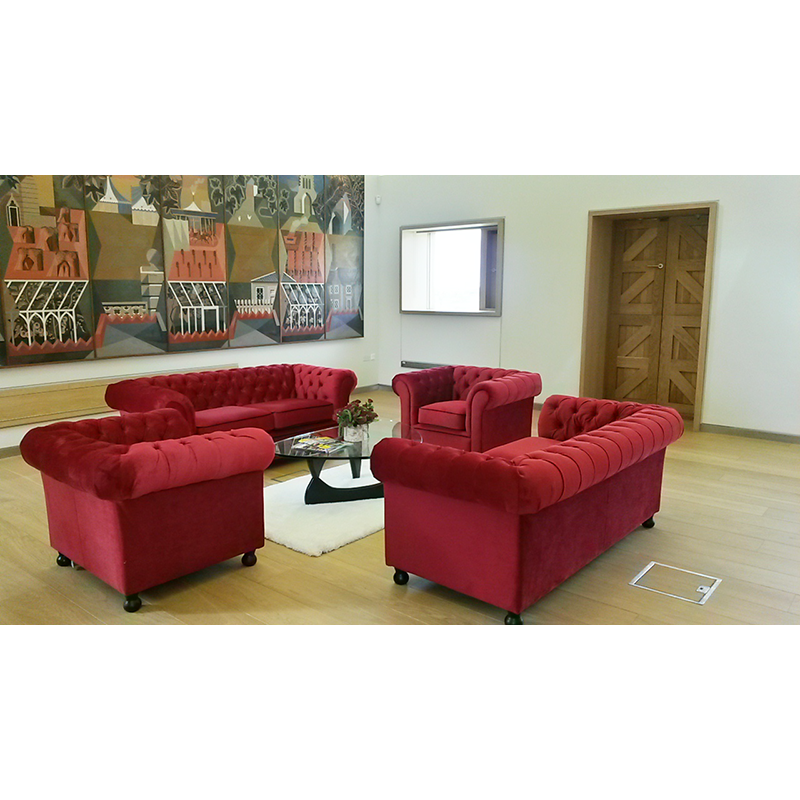 Why not mix and match with our coffee tables to complete the look. You may also choose to co-ordinate with our chesterfield seating range. 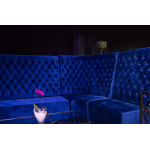 Our royal blue velvet modular booth seating range is a perfect way to configure your seating plan to.. 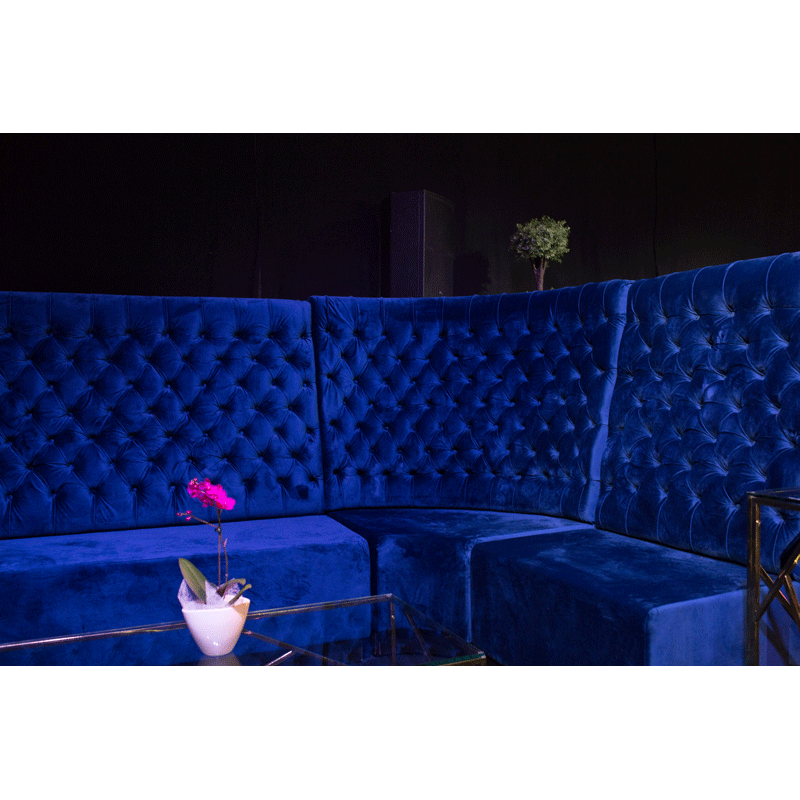 This purple velvet booth seating corner section provides a comfortable, stylish and highly flexible .. 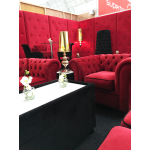 This black velvet corner booth seat is part of our extensive modular booth seating range. 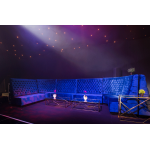 This range..
Our grey velvet modular booth seating range is a perfect way to configure your seating plan to suit ..
Our black leather modular booth seating range is a perfect way to configure your seating plan to sui..